Super-premium clumping cat litter made from grey Canadian bentonite. 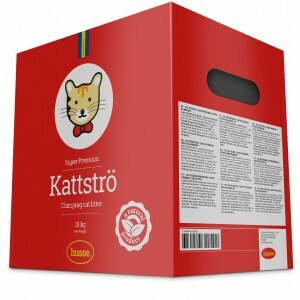 Kattströ is 100 % natural, contains maximum 1% dust and is 99% trail free. Fill litter box with 7 cm of cat litter. Remove clumps and solid waste daily. Always refill to 7 cm.